Stagecoach bus timetables changed this week. Bus users say they have been left stranded after changes to the services in Lancaster and Morecambe came into effect this week. Stagecoach have altered the numbers, frequency and routes on some of the main services. But while the number of buses running has increased, one service which took people along Bare Lane to Morecambe has now been dropped. Stagecoach brought in the changes on Monday to coincide with the reopening of Greyhound Bridge. They say they held consultation events with Lancaster University and at Lancaster bus station. However, pensioner Roger Sandham said the new route was affecting many elderly bus users. Mr Sandham, 71, lives in Broadway near the Shrimp roundabout and previously used the Service 4 bus which travelled along the length of Bare Lane into Morecambe. The service has been replaced by a number 2 bus which, while running every 15 minutes instead of every 30, now takes the form of the former Service 3 and goes down Low Lane and Fairhope Avenue on its way to the prom. This means Mr Sandham must now walk to Torrisholme Square if he wishes to take a Stagecoach bus to Bare and the prom. Alternatively, there is a service which runs down Bare Lane provided by Kirkby Lonsdale Coach Hire Ltd.
“I have a problem with walking and there are a lot of elderly people living along Bare Lane who used the bus,” Mr Sandham said. “That bus was always well used and I have been told there have been numerous complaints about this. Michael Sanderson, head of commercial for Stagecoach Cumbria and North Lancashire, said the changes were made in a bid to “balance everyone’s concerns”. “We had a big look at the network and where people were usiang services,” he said. “What was the Service 3 route was by far the most popular on that particular section. Mr Sanderson said direct routes between Lancaster and Morecambe – now Service 1 – continue to stop at the Shrimp roundabout. “We are aiming to concentrate the buses where most people use them,” he said. “We are trying to offer some simplicity for people, so they know there will be a bus every 15 minutes on the route they use. *Route 1: Every 10 minutes during term-time (every 20 minutes during university holidays) between Lancaster University Underpass and Lancaster Bus Station via Scotforth Road, continues to Morecambe via Morecambe Road, Torrisholme Road and Lancaster Road every 10 minutes. From Morecambe to Heysham all buses will run via Westminster Road with a bus every 20 minutes via Heysham Road and a bus every 20 minutes via the top of Kingsway. Buses will come together at Sugham Lane giving a 10 minute frequency to the bottom of Kingsway, Mossgate Park, Heysham Towers and Heysham Mossgate Road. *Route 2 and 2X: Every 15 minutes from Alexandra Park and Lancaster University Underpass to Lancaster Bus Station via Hala, Newmarket Avenue and Bowerham. Buses keep the same frequency all year. 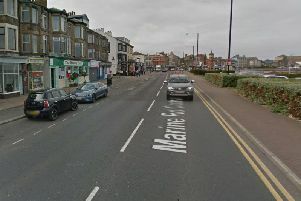 Buses then continue to Morecambe via Torrisholme Road, Low Lane, Bare, and the seafront to Morecambe Bus Station. At Morecambe bus station a bus every half hour will continue to Heysham and then Lancaster bus station via the by-pass as service 2X. Through fares from anywhere on the 2X to anywhere on the 2 and vice versa will be available and you won’t need to change buses. The half hourly 2X will travel via Heysham Road, Heysham Village, Heysham Towers and Higher Heysham and Combermere Road. 2X buses will then run along the by-pass and Morecambe Road back to Lancaster bus station. The 2X bus which runs to the university in the morning and starts from there in the afternoon will continue to run via Kingsway and Mossgate Road to get to and from Heysham Towers. *Route 4: This service will run every 30 minutes between Lancaster University Underpass and Lancaster Railway Station. The bus will run via Hala and Bowerham. At peak times on weekday mornings buses will also serve Alexandra Park and will not serve the bus station on their way to the university. *Service 6A: Increased to give a half hourly service all day from Westgate to Lancaster. *Service 41: Starts from Morecambe before continuing to Garstang and Preston.